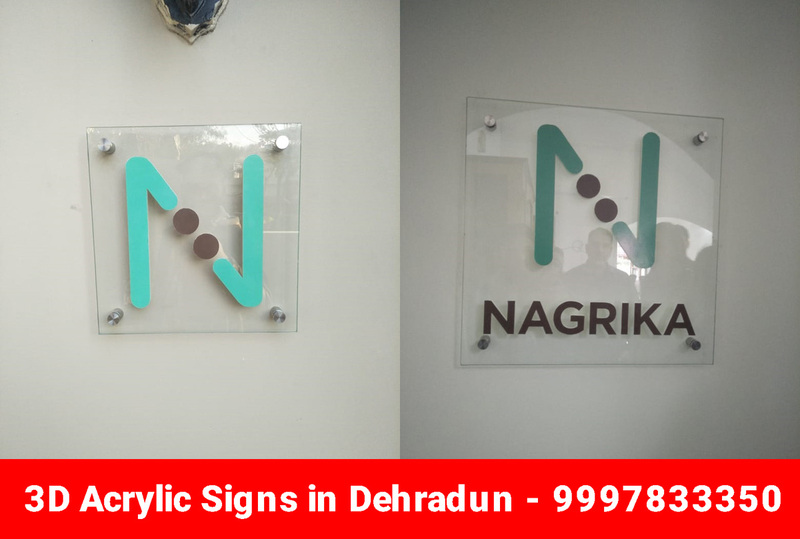 Looking for 3D LED Sign Board manufacturer or printer in Dehradun? You are at right place. 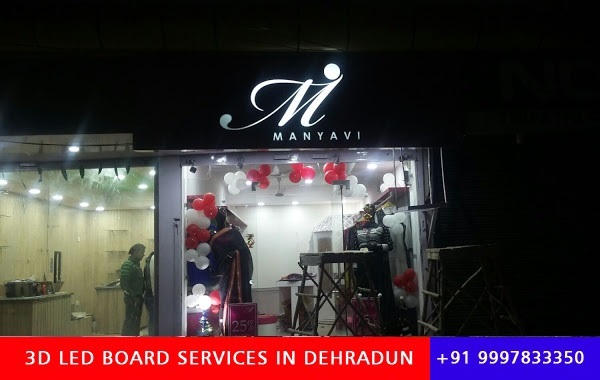 Contact us at +91-9997833350 (Sumit Pundeer) for Best and Top quality 3D Signage Boards, Acrylic, LED, ACP, Letter Designs, Traffic, Parking, Backlit or Glow Sign Boards for restaurants, hotel, shopping malls, showroom, school / college or corporate company in Dehradun. We provide premium quality sign boards that are much more reliable and use much less power as compared to tradional signage. We are a team of professionals which manufacutures costomized backlit and glow sign boards for shopping malls, restaurants, highways, schools, real estate projects and other corporate companies. 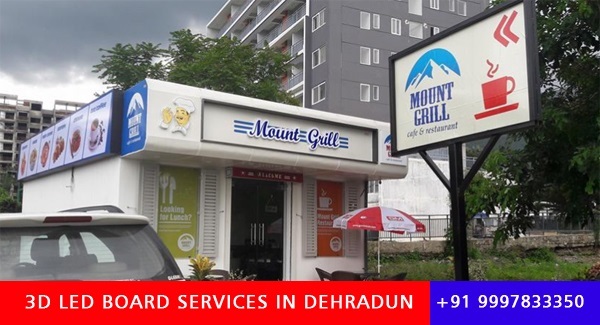 Designed LED Board for Mount Grill Restaurant on Sahastradhara Road, Dehradun. Also provide neon signs with trendy designs. 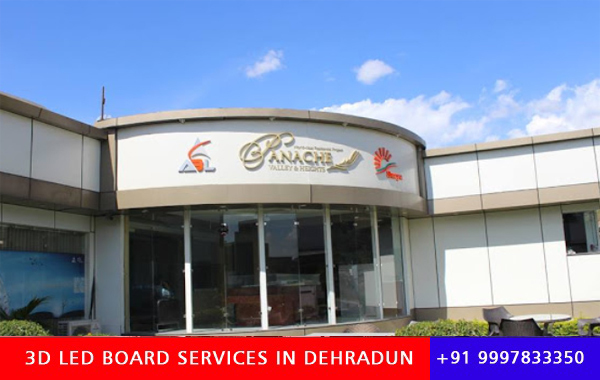 Specialized in front light boards, glass boards, steel/brass letters, light box with cost effective solutions. Dehradun’s best signage company for internal and external digital LED display panel, acrylic, safety signs, 3D LED signs. These signages are illuminated and enable a brilliant effects. As a quality oriented organization, we are focused to provide an excellent quality material that is accessible in various sizes. Besides, our experienced designers specifically design these so that these effectively cater to the varied requirements of the industries. If you are looking for beautiful sign board design and print services for your company or product, kindly approach Doon Projects – Media and Marketing Agency of Dehradun. Printing | You are in Dehradun and want good quality printing for your book/project/product. We are experienced to deliver your imagination. Dealing with 4-5-6-8 color printing. We have the best people who just see your designs and tell you what will be best for you. Supports you everytime when you want to change your previous designs before printing. Our designers are 24×7 active to give final touch to your creatives. Also deal in Matel Printing, Screen Printing, Digital Printing, One Way/Transparent Printing for Glass, Vinyl and Reflective Media Printing, etc..UV Finishes | We are good in print finishes. Here, everyone can print your job but what about finishes. We provide UV Coating, Spot UV, Glitter UV, Textured or Engraved UV finishes services, Varnish and Lamination too. So, next time you want to print your stationary, promotional or anything come to us. We will give you best finished product. Binding | So, looking lather looking cover for your Menu Card or hard binding for your brochure with machine sewing, come to us we will give your perfect binding options for your stationary and promotional. Texture Paper | Most of the printers are not working with texture paper here. When you invest too much on your design and don’t use the required paper for it then everything is zero. So, if you are looking for a good work, good finishing then call me. I am here to give you the best of India.